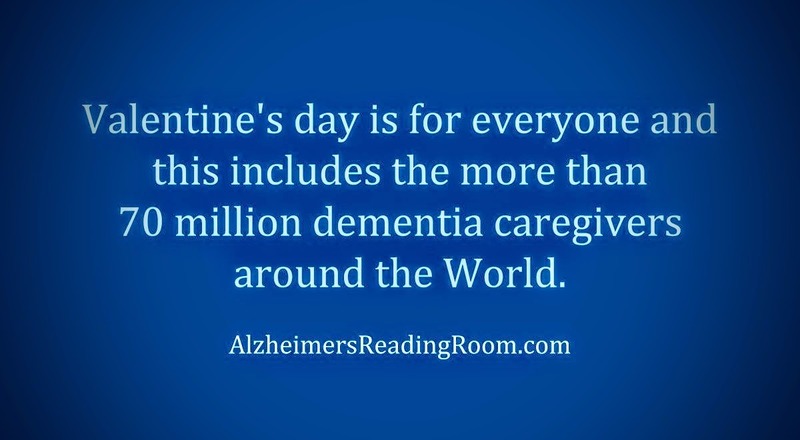 Valentine's day is for everyone and this includes the more than 70 million dementia care partners around the World. 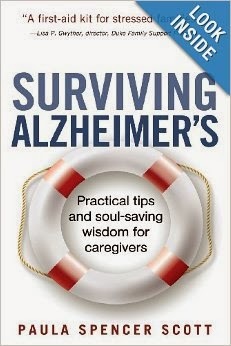 This list is for family, relatives and friends of Alzheimer's (and dementia) care partners. I'm collecting suggestions here in the hopes that they'll trickle down to those who love and care about you - the caregiver. Please feel free to add your own suggestions in the comments section below. I am really looking forward to reading those suggestions, and adding them to the list. You could also forward this article to others - hint. 1. The next time you're going to the grocery store, ask me if you can pick up anything for me while you're there. 2. Ask about ME and how I'm doing when you call, not just the person I'm caring for. 3. Don't just recommend a good movie or book, actually drop it off at my house so I don't have to chase it down (because I probably won't ever get around to it). 4. You can't go wrong with flowers. Looking at anything bright and growing in our house is uplifting. 5. Don't tell me what I'm doing wrong without telling me two things you think I'm doing right. 6. Wash my car, or take it to be washed. 7. Offer to drive the person with Alzheimer's some place he/she needs to go — or no place in particular. 8. Remember to send me the pictures or videos as promised after you visit (or let me know when and where you post them) -- because I probably didn't take any, and I don't want to have to chase them down. 9. When you offer to help, be available when I take you up on it. Offering is sweet, but following through is the important half of the equation. 10. 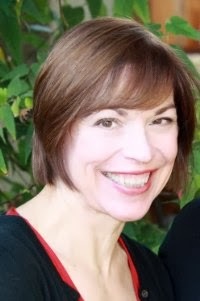 Don't tell me about your caregiver horror stories, tell me your success stories -- the name of a great agency or nurse, a tip on dealing with doctors, an inspiring insight that kept you going. 11. Please be persistent with your invitations. Understand that just because I might not be able to get to book group or lunch as much as I used to, it doesn't mean I don’t want to, so don't drop me. 13. Just let me vent. Don't feel like you have to have something constructive to say -- half the time I don't really want advice. It's enough to have someone who can listen with empathy. 14. Send me uplifting articles or information you see about my loved one's condition that I might have missed; I like to keep on top of things. 15. Remember that chocolate is the food of love — and my secret sanity-saver. 16. Walk a week in my shoes before you criticize the kind of care I'm giving. Remember what Momma said: If you can't say anything nice, don't say anything at all. 18. Offer to sit and read to the person with dementia, or play cards, or listen to music together — any companionship so that I can get a haircut / go to the gym / go to the mall / be alone. 19. Invite him or her to go to church with you. 20. If you know the person's favorite dish, or found a dessert you know he or she will love, bring us a batch. Giving me the recipe is not good enough because I'll probably never get around to making it. 21. Give me one "free" phone call a week where I can call you at any time to complain away and get my stress out of my system! 22. Come for lunch -- you bring the take out. I've got the time and conversation, if you promise not to look at the mess. 23. Please refrain from sending me postcards from your glamorous vacation or writing, "wish you were here." 24. Customize a CD for me with music that will lift my spirits when I'm stressed -- I'd love to hear something new. 25. Tell me you love me and you're there for me. 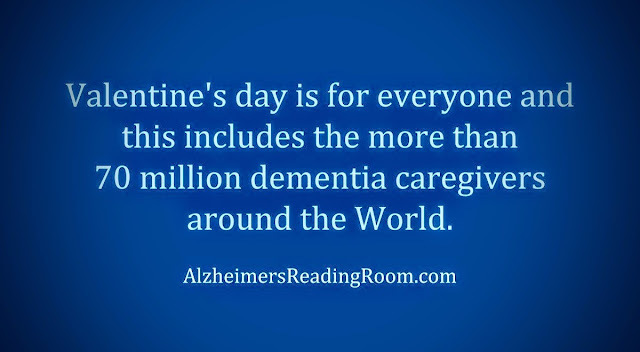 Every Alzheimer's caregiver knows the beauty of unconditional love.